The man behind comedy classics like Billy Madison and Happy Gilmore - plus a whole bunch of other movies - has just signed a four-picture deal with Netflix. 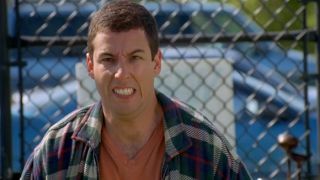 Sandler will star in and produce the four original, exclusive films through his company Happy Madison Productions, Netflix said in a press release. Interestingly Netflix said Sandler's various films are consistently in the most-viewed films globally on the company's streaming service. "When these fine people came to me with an offer to make four movies for them, I immediately said yes for one reason and one reason only. Netflix rhymes with Wet Chicks," Sandler said in the press release, showing off his unique sense of humor. Netflix's "dabbling" in original content has been going deeper and deeper, and this is the streaming service's most Hollywood-like move yet. They've done original films before, including documentaries and the also-recently-announced Crouching Tiger, Hidden Dragon 2. And Netflix's original shows - including the award-winning Orange is the New Black and House of Cards - have proved that fresh content is the way to go.